Apr. 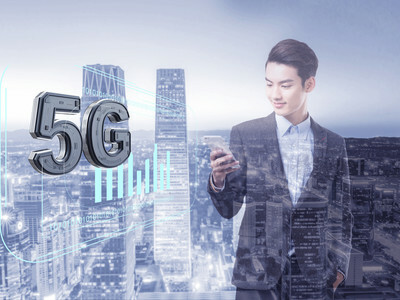 10 (NBD) -- Huawei Technologies is now "open" to selling its 5G Balong 5000 chipsets, but only to Apple Inc., technology blog network Engadget reported Monday citing a source with knowledge of the situation. Such a deal would be unusual, to say the least. Huawei has been developing high-performance processors and modem chips on its own, but only for internal use. Chip sales aren't exactly Huawei's forte, and a company representative said earlier this year that its Balong is mainly for supporting Huawei's smart products, such as phones and IoT products, and is currently for Huawei's internal use only. Neither Huaiwei nor Apple has made any public comment for now. For Huawei, a company that's gunning to become the world's largest smartphone maker in 2020, offering 5G chips to one of its biggest rivals as an olive branch is surprising. But Apple is reportedly facing short supply of 5G chips. The iPhone maker is said to plan to introduce iPhones that support 5G technology in 2020, but there's a problem - Intel, Apple's current chip partner, might not be able to get its 5G LTE chips ready by then. Not long ago, Qualcomm stated that it still wanted to cooperate with Apple on a 5G iPhone. The chipmaker's president Cristiano Amon said earlier, "We're still in San Diego, they have our phone number. If they call, we'll support them." However, these two remain entangled in a tense legal battle over patent. Some analysts thought that even if Apple has "lost confidence" in Intel, Qualcomm is still not an ideal chip supplier for Apple. Apple has been speaking with Samsung about 5G chips, but the latter refused to supply on the ground of underproduction. With Samsung and Qualcomm out of the picture, there are Huawei and MediaTek. But MediaTek's baseband chip Helio M70, which is generally applied to mid- and low-end handsets, can hardly match the requirements of the high-end iPhone models. "Although Huawei doesn't have the plan to sell its chips to a third party, yet the cooperation isn't impossible if Apple offers sufficient incentives," said Wu Yijie, a visiting lecturer at Institute for China Business, HKU SPACE, in an interview with the 21st Century Business Herald. Besides, Apple has been working on its own 5G chips. The company can subcontract production to its business partner Taiwan Semiconductor Manufacturing Company if the R&D works out, Wu pointed out. But time is of the essence when it comes to chip development. Some industry insiders held that Apple will be forced to reconcile with Qualcomm in order to guarantee timely chip supply for 5G iPhones.